Famed for his roles in the entertainment community, Austin Butler stands out as one of the finest actors the movie industry has ever produced. Besides his charming looks and phenomenal physique, he is a talented actor who has won many hearts with his acting skills and brilliant performances in front of the camera. Before breaking out into stardom, Butler spent a good number of his youthful years as an extra in many television series. He scored his first role as a background actor in the year 2005, playing the fictional character Lionel Scranton for two seasons in the 2004 American sitcom, Ned’s Declassified School Survival Guide. Following an impressive performance and positive criticism, the actor decided to pursue a career in the movie industry. Ever since then, he has starred and also featured as a guest actor in so many television series, and movies. Some of his television series credits include but not limited to Hannah Montana, Zoey 101, wherein he was cast as James Garrett, Out of Jimmy’s Head, Aliens in the Attic, wherein he played the character Jake Pearson, Life Unexpected, and many others. Butler also plies his trade in the theater industry. He made his first Broadway appearance in The Iceman Cometh, playing the character, Don Parritt until it ended on July 1, 2018. Of all his TV projects, the actor is best known for playing James “Wilke” Wilkerson in the 20110 family/teen drama television series, Switched at Birth. 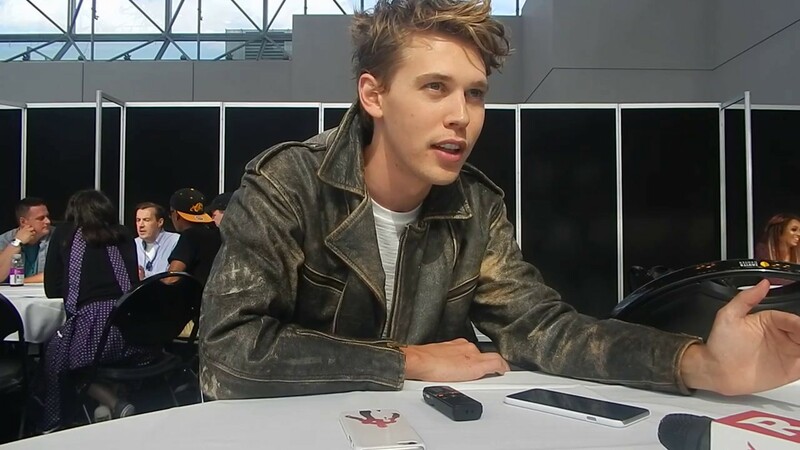 His impact is also felt in series such as Ruby & The Rockits, The Shannara Chronicles, and The Carrie Diaries, wherein he played the roles Jordan Gallagher, Ohmsford, and Sebastian Kydd respectively. The television star is the son of David Butler (father) and Lori Anne (mother), an aesthetician. He was welcomed into the world on the 17th day of August 1991, in Anaheim, California. As mentioned on his profile, the American movie maestro has mixed ethnicity traced to be English, Welsh, Scottish, Northern Irish, and 1/8th Finnish. He grew up with his older sister called Ashley Butler, who is also an actress. Austin Butler began his educational career at a public school until the seventh grade when his parents withdrew him from school and began homeschooling him. He was tutored at home for three years, after which he sat for the California High School Proficiency Exam (CHSPE) in tenth grade, thereby completing his high school education formally. While growing up, the actor used to enjoy all sorts of movies. This led him to develop a keen interest in acting. An opportunity to join the entertainment world would open when he was 13-years-old after an agent from an Orange County-based background-acting management company indicated interest in him during a fair. The company later introduced him to the movie world and also helped him get started. It was after Butler spent some time in the community that he decided to become a full-time actor. Austin Butler is not married yet but he is in a serious relationship with his longtime girlfriend Vanessa Hudgens, an actress. The couple has been dating since 2011 and could likely tie the knot someday in the future. Sometime in December 2017, the social media was abuzz with rumors that the two are engaged after Hudgens was spotted wearing a big ring on her finger in a photo she shared online. The actress, however, put the speculation to rest by clarifying on Twitter that she is not engaged to the actor. Before Vanessa stole his heart, Butler is rumored to have dated actress Cody Kennedy. 1. Austin Butler stands a height of 6 feet 0 inch, which is equivalent to 183 centimeters. His body weight is measured at 150 pounds or 68 kilograms. The hunky actor is blessed with a set of dazzling blue eyes and blonde hair. 2. Apart from acting, Austin Butler also enjoys producing and recording music. 3. He started playing piano at the age of 16 and the guitar at the age of thirteen. 4. In addition to acting and music, Butler plays basketball very well. He loves cycling, exercising in his home gym, and hiking as well. The television star once disclosed that he loves these outdoor activities because they help to keep him in shape. 5. The actor is very active on social media, where he enjoys a large following on his Twitter, Instagram, and Facebook pages. Austin’s Twitter account boasts over 670k followers while his Instagram and Facebook accounts are being followed by over 1.9 million and 120 thousand followers respectively. 6. The Switched at Birth star, as of 2018, has an estimated net worth of $4 million.